The order of Group Policies is a mystery. The folders that you see in GPMC are certainly not listed alphabetically, what I have decided to do is keep the same order in my left hand menu as you see in the Group Policy interface. 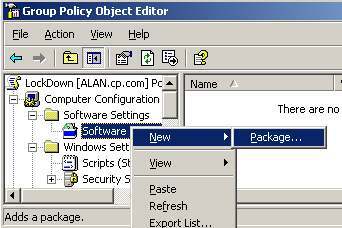 Assigning software via a Group Policy is one of THE great ideas in computing. The intention is to pamper the users by providing all the programs that they need for their job. Not just MS Office, but any program with an .MSI extension can be installed using this technology. You have to decide between two strategies; assign the software to the user, so they receive the software no matter where they logon. Alternatively, assign the software to the computer, with the result that everyone who logs on gets that .msi package. If the decision is close, then I would favour the User Configuration. Configuring Software Installation has a different ‘look and feel’ from other Group Policy settings. What you find with Software policies is that there are new menus and a different logic. You may have noticed that modern software arrives as an .MSI package. All you need to do is to prepare the server is simply share out the folder from where you are going to roll-out the package. Back at your GPO, all you need to do is right-click on the Software Installation box and select, New, Package. Trap 1: You type in a local path, for example e:\ software. This is incorrect – watch out for the warning message. What you rally need is a UNC path, for example \\ server \share. To avoid this trap, I type \\ server in the browse box, then select the share containing my .MSI file. Designing a Software Installation Policy is a great example of investing time up front, which later repays with interest. When you are installing new software, the fact that one day it will be obsolete, is not at the forefront of your mind. Service packs and upgrades are not a concern – yet. Remember that the biggest benefit of assigning software through Group Policies, comes later when you need to upgrade or remove the original program. No need to visit those irksome users, all you have to do is click a few boxes and the original software package can be replaced. 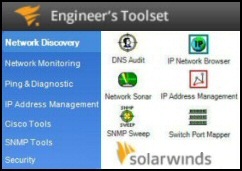 There are useful options for fine tuning your deployment strategy. I particularly like the ability to remove the application when the user moves out of scope; for instance, if they get a promotion and move to a different OU. Firstly obtain the updated .MSI package. 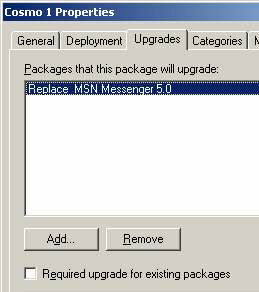 Then add the .MSI to the Group Policies, apply the same method as when you assigned the original package. You are now ready to replace the original package with the newer .MSI. A rare event. If you simply click on a package and then hit the delete key, nothing happens. The trick is to right-click, select ‘All Tasks’ and then ‘Remove’. At that point it becomes apparent why you cannot just hit the delete key, you need to consider what happens to existing users. 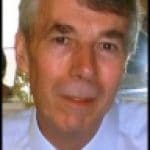 Do you let existing users carry on using the software, or do they have the package whipped away from under their feet?